In the summer of 1980, Kathleen and I sat at the Westport Theatre in St. Louis and watched Airplane! 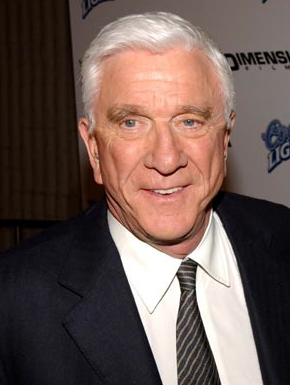 Up until then Leslie Neilsen had been a straight man character actor. While it received mediocre reviews, I thought it was the second funniest movie I had ever seen (#1 is Blazing Saddles). His deadpan Dr. Rumack created a whole new type of movie character. For the next 30 years, I would bug Kathleen whenever she would begin a sentence with, "Surely...." by delivering a variation of Nielsen's famous line. How very sad that this funny, funny man is gone. He passed away from complications related to pneumonia. Thanks for all the laughs.